Here are the final reviews I’m posting of Streamline Pictures movies and videos (and in one case below, a book). This series of posts has been my way of archiving the legacy of Streamline. There is a lot more to say – and hopefully some future historian can use this material as a way to begin research in telling the full story of Streamline’s role in bringing anime to the United States. This isn’t my final post on Streamline, as you will see next week. Today, we look at reviews of several projects that were somewhat popular at the time. First up, Windaria – an animated feature produced by Kaname Productions and Idol. Directed by Kunihiko Yuyama. it was released theatrically in Japan in 1986. 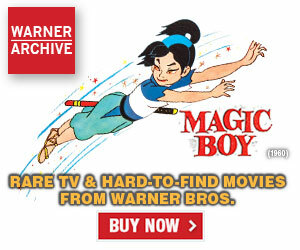 Streamline released a dubbed version direct-to-video in 1992. “Beguiling, often pointed Nippon anti-war fantasia. On the fabled pastoral world of Windaria, two mythical kingdoms, the militaristic Shadowlands and the less-tech sea-side realm of Lunaria, are headed for inevitable clash over latter’s monopoly on fresh water. Seeking to thwart the jingoistic saber-rattling of their parents, royal heirs and embattled lovers Prince Roland and Princess Veronica instead find themselves eventually inheriting upcoming conflict after the untimely deaths of their elders. Also embroiled in the war are young bucolic couple Alan and Marie, whose valley society is encroached upon by both factions. Zillion was a 1987 TV series produced by Tatsunoko. 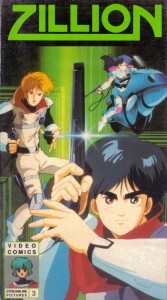 Streamline dubbed five of the 31 episodes produced and released them on VHS in the United States – along with the feature length OVA, Burning Night. In December 1994, Streamline published its first book, Tainted Treats, by R. Payne Cabeen. It was a collection of horror stories & dark poetry; illustrated by Cabeen himself and four comics-artist friends: William Stout, Dave Stevens, Mike Mignola, and Simon Bisley. Cabeen was an old friend of Carl’s who helped him on a freelance basis on many of the Streamline dubbing projects. 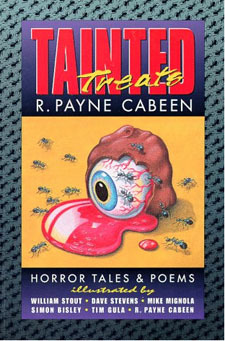 “Tainted Treats , by R. Payne Cabeen, is a collection of 5 poems, 3 short stories and one novella of horror and macabre humor. Most deal with, in one way or another, food. Another popular subject matter is bodily functions, with the hands down winner being vomiting (I don’t think I’ve ever encountered a writer before who seems to enjoy writing descriptions of people vomiting as much as Cabeen does; they’re all over this book). Everything to be found in Tainted Treats is purposefully kind of goofy, in a sick sort of way. But then what do you expect from a book which is dedicated to Albert Feldstein and William Gaines, those great guys who brought us E.C. 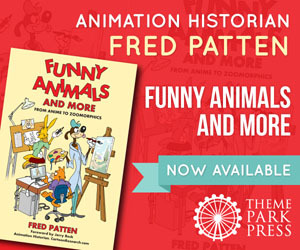 Comics (as well as MAD magazine). “First the good stuff. Tainted Treats has some really cool illustrations by people like William Stout (the dinosaur artist; he’s just as adept at drawing psychos with frizzy hair and syringes), Dave Stevens, Simon Bisley (who supplies an image you aren’t soon to forget), Mike Mignola, Tim Gula and the author himself (who draws great mad doctors and one-eyed tentacled creatures). These aren’t just any old drawings either, but ones which appear to have been created specifically for this book (I say this because each features an image from the story they precede). When you consider the status of the artists involved, this is a pretty impressive feat. These aren’t people whose work can be found in every small press magazine known to man, but some of the top artists in the comic and illustration field. I was also particularly impressed with the appearance of this book (which, it turns out, was designed by Cabeen). I’m not just talking about the cover here (a candied eyeball and some inquisitive ants), but the overall look of the book. The ant motif on the endpapers and cover is quite striking. 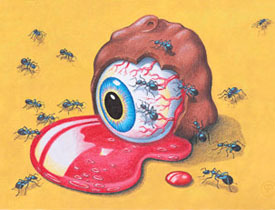 There’s also some other neat little ant-related touches, like the line of them which crawl through what would otherwise be white pages, and the pair which make their way across the tops of the pages as the book progresses, slowly but surely eating a triangular design element until they crawl into the space between the pages and disappear. Any way you look at it, this is a nice looking book. Now the bad. Tainted Treats is a little lacking in the editing and proof-reading departments. Cabeen’s writing is a bit on the rough side in the fiction pieces (his poems are much better, with “Ghoul’s Diet” being particularly catchy). With the exception of “Slime Soup” which achieves an almost Nirvanic level of grossness (never before has the horror of rancid clams been so well described), the stories, while guaranteed to make you go “Eeauw” or “Ugh” or “Ick” at least a couple of times each, are all pretty forgettable. “I Hate Myself” (the books’s novella) in particular goes on way too long. Like one of its main characters, it needs to lose some weight, to trim off some of that unwanted fat. Also, there are lots of amusing typos to be found throughout the book, with the best two being grizzly instead of grisly (more than once) and taught instead of taut (again, more than once). Not that it really mattered all that much; this isn’t one of those books you read solely to revel in skillful use of the English language. Even with its flaws, I still enjoyed Tainted Treats. It appealed to the kid in me, the part which never outgrew playing with Slime (or the even cooler Slime With Worms) and telling gross jokes […]. Hey, I’m not afraid to admit it; I like cheesy, gross-out horror. But it’s not like that’s all I read. It’s just that after being bombarded with hype, overpowered by egotism, and smothered with pretensions on a daily basis, a colorfully described vomit sequence comes as quite a relief. Tainted Treats isn’t great literature, but it was still fun to read. Mike Baker, Afraid, #31, February 1994 , pg. 10-11. “Yes, you’re reading that correctly: a movie and video company, Streamline Pictures, has indeed gone into the book business […] …they’re leaping into the publishing pool with this very tasty first offering — a macabre little collection of horror tales and poems, courtesy of R. Payne Cabeen. Fortunate for them that Cabeen is also a designer at Streamline, so he’ll be more readily available for the sequel that should inevitably follow this delightful (and beautifully illustrated by a ravenous pack of illustrators) little terror-snack. “I like this guy; like Stephen King, he’ll try to first terrify you, then horrify you — and he’s never shy about going for the gross-out. More, please…Uum-good! Next week: The Streamline Pictures Files. Prior to Streamline’s release of Zillion, the closest any of us had came to know of J.J., Champ and Apple was through two Sega Master System games that saw a release in and outside Japan. They’re not worth checking out, but an interesting curio from the era (the first game resembled “Impossible Mission” in its gameplay). The show of course was partly bankrolled by Sega anyway and Opa Opa from Fantasy Zone showed up in it (thankfully Alex Kidd didn’t show up I think). But perhaps the best-known appearance Zillion ever had was for a second of J.J.’s shocked face appearing on a monitor in Michael and Janet Jackson’s video “Scream”. 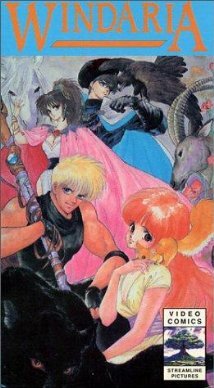 To this day, Zillion does have it’s admirers who had saw those five standalone episodes or the “Burning Night” OVA as kids, wishing they had more of that sort of thing. I believe both the series and OVA were re-issued by Best Film & Video Corp. later on so they probably saw those tapes (and never played the Sega games). As we speak, the series is finally getting a remastered HD Blu-Ray release in Japan. Whether it seems a similar release in North America (either home or streaming) has yet to be seen, but maybe someday. Streamline Pictures’ other book, George Clayton Johnson’s “Twilight Zone Scripts and Stories”, never got any reviews that we knew of.